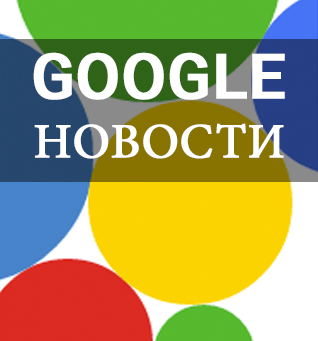 AdWords Блог Србија: Новости из Google-а за период 13-26.08.2012. Новости из Google-а за период 13-26.08.2012. Након недељу дана паузе, настављамо са серијом постова Новости из Google-а. Погледајте вести (на изворном, енглеском језику) са званичних Google блогова за последње 2 недеље. Посебно скрећемо пажњу на вест са званичног Google блога у којој се наводи да је гласовна претрага сада доступна на 13 нових језика, укључујући и српски језик. 90% of media consumption today is screen based, and the growing number of digital devices is rapidly changing the way people search, shop, and connect with people or businesses. To make the most of all of their devices consumers have developed common patterns of multi-screen behavior, and this multi-screening has quickly become the norm. In order to gain a deeper understanding of this changing consumer media behavior, we conducted some new research. Join Google on Thursday, August 30th (10am PT/1pm ET) for a webinar about our recently released research, "The New Multi-screen World: Understanding Cross-Platform Consumer Behavior." Google Analytics is constantly being updated to provide you with powerful analytical tools and the best user experience possible. As a marketer or analyst, keeping up with these regular changes, updates, and tools will help you be more effective. You may already refer to our blog, Google+, and Twitter feed to stay up to date. We recently filmed a video to provide more information about the URL Parameters feature in Webmaster Tools. The URL Parameters feature is designed for webmasters who want to help Google crawl their site more efficiently, and who manage a site with -- you guessed it -- URL parameters! Over recent years, we’ve seen that mobile advertising is a powerful way for brands to build awareness, engage people who are watching multiple screens, and drive in-store conversions. We’ve focused on creating tailored ad formats that work for the user experience on mobile, whether it’s searching or watching videos. Today, most of us watch video on our smartphones and tablets, as well as our PCs - we watch videos when we’re out with friends, while waiting in line, or riding the bus home. We’ve rolled out a number of specific mobile ad formats on YouTube over the past year, making it easier for advertisers to reach people with great ads and content creators to monetize mobile views. Now we’re extending this further by launching TrueView in-stream video ads on mobile devices. “Norwegian restaurants in New York City.” I can type that phrase fast, but I can say it even faster—and when I’m on the go, speed is what I’m looking for. With Voice Search, you can speak into your phone to get search results quickly and easily. Voice Search is already available in 29 languages, and today, we're bringing support to 13 new languages for Android users—bringing the total to 42 languages and accents in 46 countries.